V-Ex Virtual Exhibitions sponsored rally driver Sara Williams finished the Trackrod Forest Stages 2015 10th overall and 3rd in class, scoring some vital points for her BTRDA Rally Challenge Championship charge. The result leaves Sara 2nd overall and 1st in class heading into the final event. 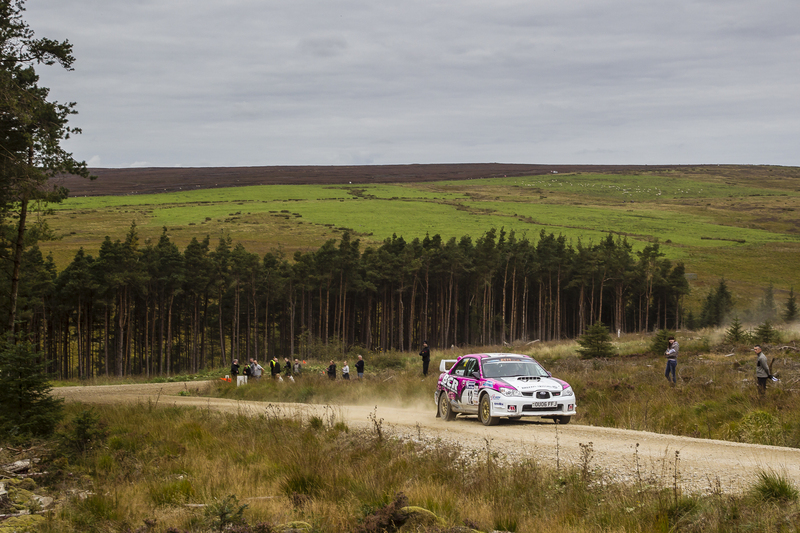 Sara and co-driver Mark Glennerster completed nearly 47 stage miles, guiding their Subaru Impreza to a solid top ten finish. The Trackrod Stages takes place in North Yorkshire and is organised by Trackrod Motor Club. The penultimate rally on the BTRDA Rally Challenge calendar, the event saw competitors return to a gravel surface and dense forests after the twisting tarmac of the previous round in Eypnt. Over a hundred competitors in rally machines of all ages descended on Dalby Forest for a day of all out motorsport. Sara and Mark began the day encouragingly, sitting 11th overall after SS3 Langdale, climbing to 8th overall by the end of SS4 Allerston; posting another top ten stage time to add to this season’s efforts. 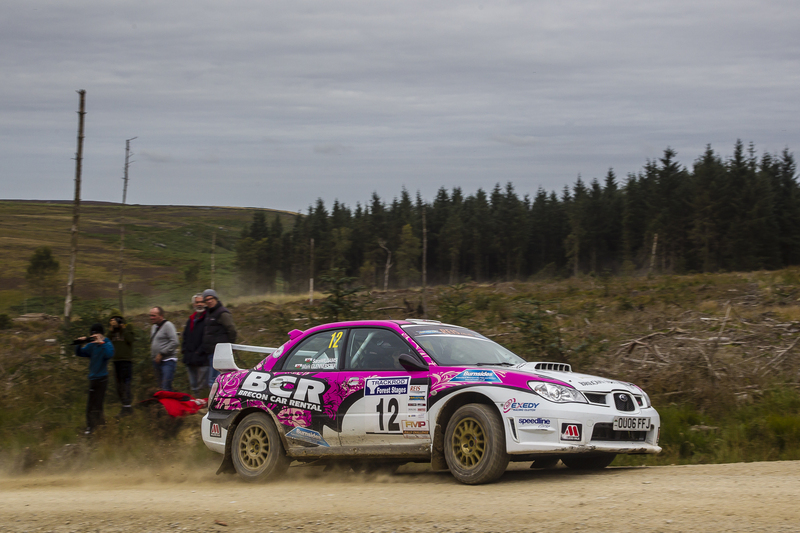 Embroiled in a tight pack, Sara and Mark found themselves pegged back to 10th overall at the end of SS5. However the duo had made their intentions clear, and continued to exert pressure on the top ten. With her Subaru running like clockwork, Sara and Mark kept their usual consistency, strengthening their hold on 10th overall by the end of stage 6, Cropton. Conditions had stayed dry, with the sun trying to break through the thin overcast overhead. Sara used the favourable conditions to her full advantage, again breaking into the top ten stage times on SS7, Staindale. This strong drive put Sara and Mark up to 9th overall, while strengthening their hold on 3rd in class. The final stage of the day saw Sara and Mark cross the line 10th overall, despite Sara posting her best time of the day, the 9th fastest of all the competitors. 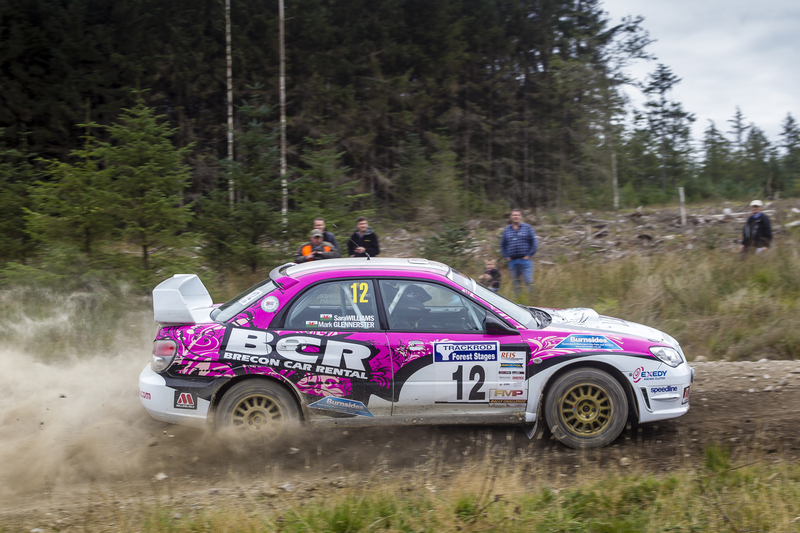 It had been a highly successful day for the pair, with Sara scoring vital points for her championship charge, and Team Brecon Motors consistently in touch with the top ten for the entire event. Sara had also finished 3rd in class with an advantage of over 20 seconds to her nearest class challenger. Having produced a string of strong results on multiple surfaces, Williams is now using her expertise on gravel to capitalise in the latter stages of the championship. With the final round taking place in Sara’s native Wales at the Cambrian Rally 2015, many will be tipping Sara to be in contention for top honours right up to the season finishing post. The Cambrian Rally will take place in Llandudno on 17th September. Photo Caption 1: The Trackrod Stages takes place in North Yorkshire and is organised by Trackrod Motor Club. 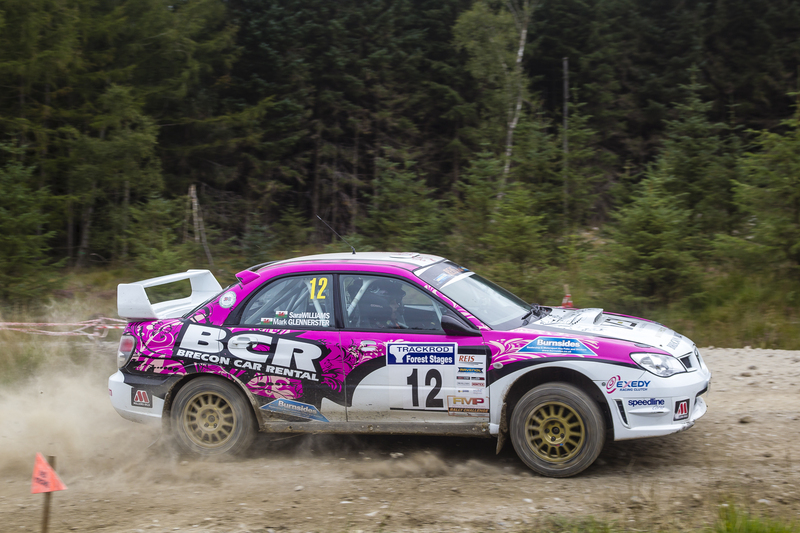 Photo Caption 2: V-Ex Virtual Exhibitions sponsored rally driver Sara Williams finished the Trackrod Forest Stages 2015 10th overall and 3rd in class, scoring some vital points for her BTRDA Rally Challenge Championship charge. Photo Caption 3: The penultimate rally on the BTRDA Rally Challenge calendar, the event saw competitors return to a gravel surface and dense forests. Photo Caption 4: Having produced a string of strong results on multiple surfaces, Williams is now using her expertise on gravel to capitalise in the latter stages of the championship.